Based on Guitar Resonators we also offer customized gear. For example, we built special controllers using Fatar Sustain Pedals. 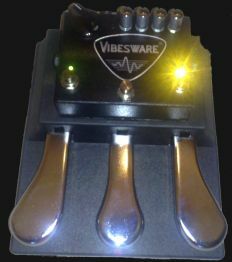 Feedback of basic notes and harmonics can be changed by the three pedals. 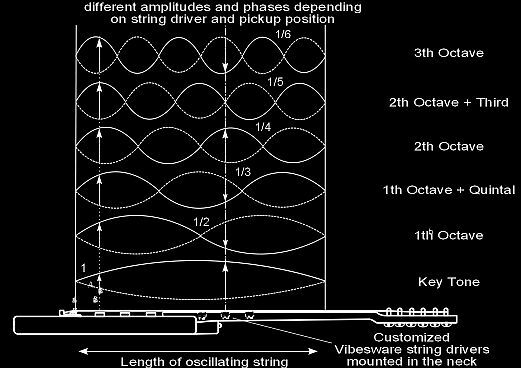 This is interesting for pedal steel guitars in particular. We built some wireless controllers for switching of harmonics too. It can be mounted (sticked) on the guitar. On customer request we developed some GR-1 modifications using the guitar amp output (DI from speaker output) instead of the guitar output. This modification can provide nice overtone variations. There is no need to plug the guitar into the Resonator in this setup. 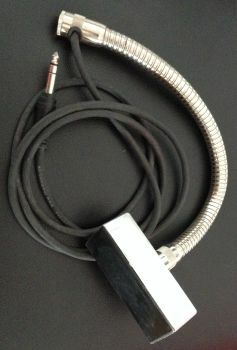 Long cables can be used, so the Resonator Box can be placed behind the amp on stage. Another interesting project started in 2009. On customer request we built string drivers directely in guitar necks. The control and mounting is more challenging and complex. Unlike other built-in sustainer pickups this solution allows normal neck pickup playing with feedback and gives some special positioning options. 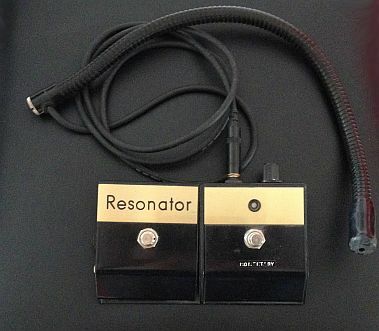 Customited Controller for GR-1 based on Fatar Sustainer Pedal for feedback overtone control (2008). Applied for Pedal Steel Guitar. Custom project 2009: Vibesware String Drivers fixed in a guitar neck. Several small string drivers have been mounted in the guitar neck. The guitar has a stereo plug to connect to an external power supply. The drivers are controlled by a custom switch in the guitar.